We support the mission and services of Choices In Community Living and the Resident Home Association with fundraising, including community events and activities, grants, advocacy and development of community partnerships that benefit people with intellectual/developmental disabilities. 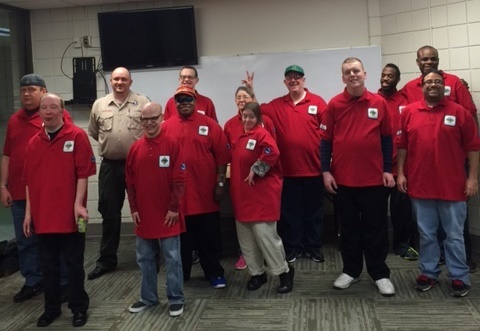 Partners enhances the quality of life for people with intellectual / developmental disabilities. We are an innovative collaborative partnership between Choices In Community Living and Resident Home Association dedicated to opening doors of opportunity for people with intellectual / developmental disabilities. We provide that warm coat in the winter, a gift at Christmas, a friend for life, a nurturing home, more than 5,000 hours of volunteer service annually. We plan fundraising events, like our Fish 'N Chips Fish Fry, Bowl-A-Thon, and Jingle Bucks. We advocate with our Art & Soul Exhibit and our Lest We Forget documentaries and more. Partners was honored to work with the Tecumseh Council of the Boy Scouts of America (BSA Scouts) to charter one of the first integrated Scout troops with members with intellectual/developmental disabilities in Ohio. Our Venturing Crew #6685 includes both men and women over the age of 18. Our Crew participates in volunteer efforts in the community, as well as in all the activities that makes Scouting an adventure, including camp outs with other Scouts, earning merit badges and more. The Brighter Tomorrow Foundation has been instrumental in providing funds for a variety of activities for our Venturing Crew. Volunteers are welcome to join us as Crew leaders or members or to join us in any of our activities. Contact our Volunteer Coordinator Cheron Barclift at cbarclift@rhadayton.com. 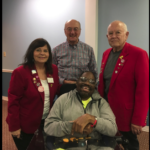 Torry Brown (Choices In Community Living) is the first president of the first chartered Optimist Club in the nation led by members with intellectual/developmental disabilities, the Greenemont Optimists. He has been involved in the chartering of the Partners Optimist Club. 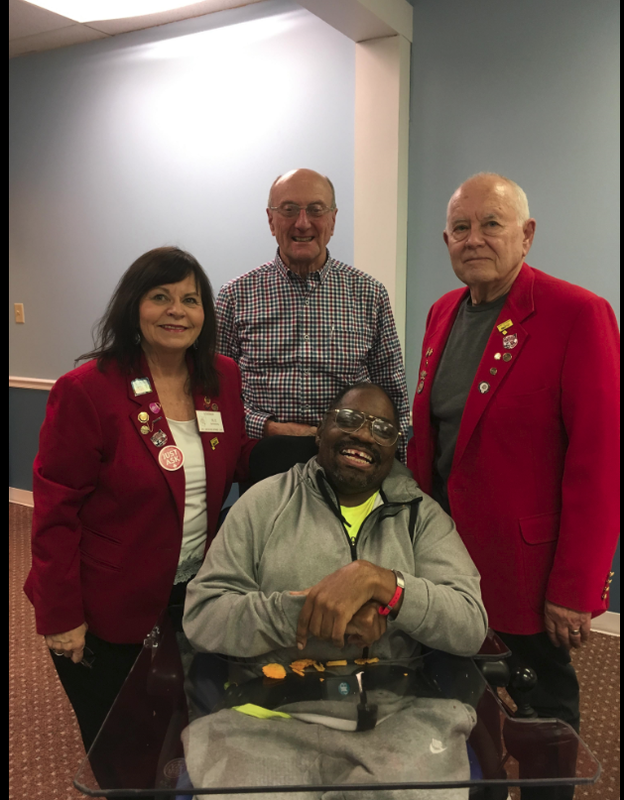 Greenemont and Partners Optimists, along with We Care Arts Optimists, form the first three integrated Clubs, a model for inclusion and leadership for the nation. Thank you to the Greene Optimist Club and Centerville Noon Optimist Club for their leadership and support in chartering and supporting our Optimist Clubs. Richard Boze (with Program Director Danette Addison) spent his early years secreted away in the isolation of a state institution until he found his forever home with Choices In Community Living. 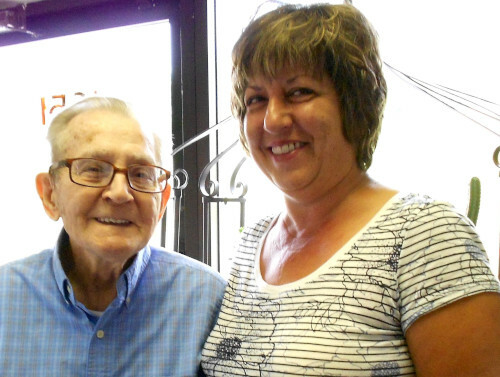 He is just one of several individuals 90 years or older who are part of our extended family. Soft-spoken and gentle, Richard never allows anyone he meets to leave him without first wishing them a very good day. Lest We Forget is a powerful and empowering journey through the first-person stories of people with developmental disabilities — once labeled mentally defective — who were sent away to state institutions. The life-long impact of institutionalization was experienced not only by those who spent decades in these human warehouses. The story is also told through the voices of the mothers and fathers, brothers and sisters who were left behind, as well as the pioneering professionals and advocates who put their own lives and careers in jeopardy to bring about change. The film notes that when change came about, it was the work, at least partially, of staff with roots in the civil rights and antiwar movements of the 60s and 70s — and some of the opponents were the same as well. One speaker recalls that when his institution attempted to prosecute an employee for severe abuse of a resident, the head of the local Ku Klux Klan came out to demonstrate. Early attempts to create community group homes as an alternative were vigorously and sometimes violently opposed by neighbors. Some homes were vandalized and threatened with arson. These are stories that happened throughout America — and only a few decades ago. The film is an important and unusual effort to record and preserve these recollections of a little-known part of the civil rights movement before they are lost to history. Partner with us on social media!